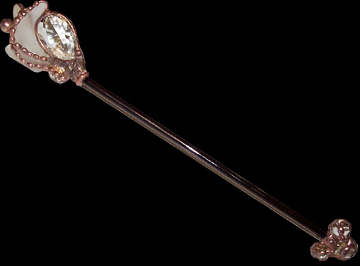 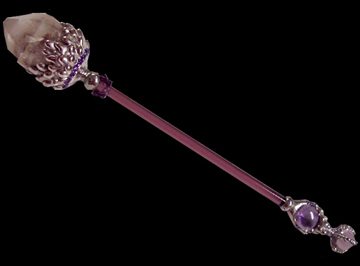 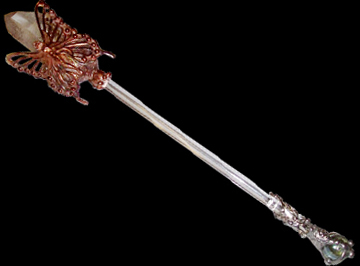 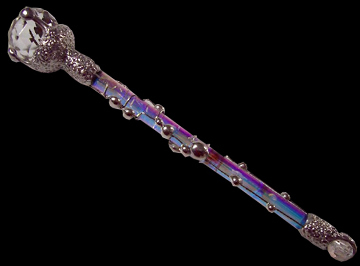 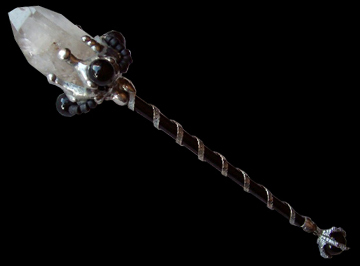 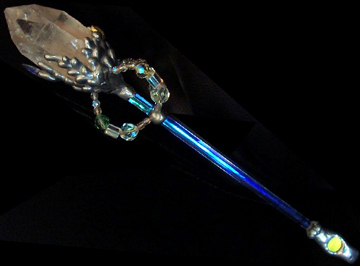 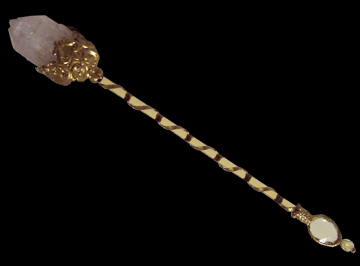 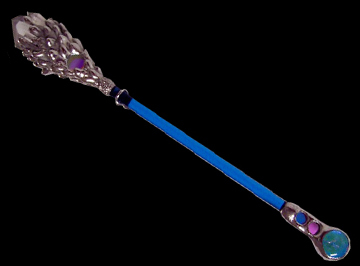 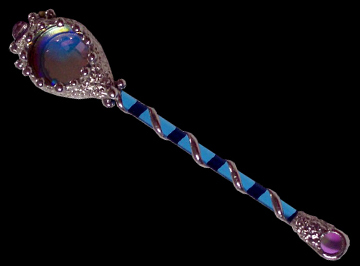 Rebecca’s signature style of decorative soldering implements quartz crystals, faceted gems or jewels, and glass beads so that all her scepters and wands capture the spiritual realm of fantasy and magic. Special orders or requests are welcome and each one comes with a leather draw string pouch. 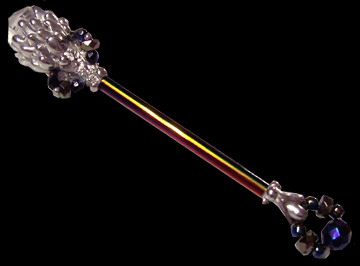 Sizes range anywhere from about 5” to 12” long.